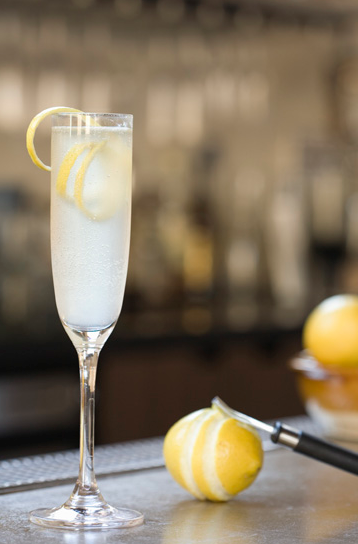 Combine base spirit, lemon juice and syrup in a shaker with ice; shake for 10-15 seconds, strain into a flute or coupe glass and top with Champagne. Notes: There is much debate between gin or brandy in this cocktail, but it really boils down to what you prefer. John likes brandy, but I'll pluck the Miller's Westbourne from our liquor cabinet tonight. Cheers! Image by Nick Carbone for Time. I could use one this evening, for sure! Happy Friday! I'd cheers to the weekend with this delicious drink in hand! what a delightful little cocktail! another must-try! I had my first one in New Orleans a few weeks ago! This one looks like something I need to try out! Great post! Our family does it with Gin and it definitely is a kicker....The key is the fresh lemons or lemonade!! Lately I've become such a gin drinker... blame it on my first foray, the lavender gimlet - a million times yes! Adding this to the lineup as well. I know it's a classic but I'm a bit behind the times!